Please note that the content of this book primarily consists of articles available from Wikipedia or other free sources online. 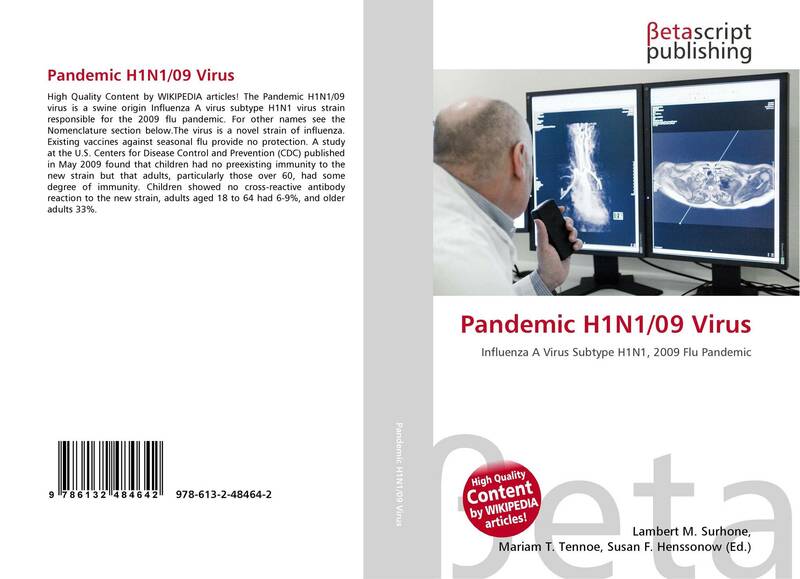 The Pandemic H1N1/09 virus is a swine origin Influenza A virus subtype H1N1 virus strain responsible for the 2009 flu pandemic. 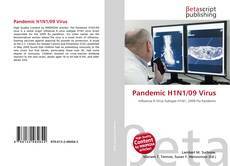 For other names see the Nomenclature section below.The virus is a novel strain of influenza. Existing vaccines against seasonal flu provide no protection. A study at the U.S. Centers for Disease Control and Prevention (CDC) published in May 2009 found that children had no preexisting immunity to the new strain but that adults, particularly those over 60, had some degree of immunity. Children showed no cross-reactive antibody reaction to the new strain, adults aged 18 to 64 had 6-9%, and older adults 33%.